Drastically reduce drum disposal costs..
Save space by crushing empty steel drums or compacting dry waste into 55 gallon drums. 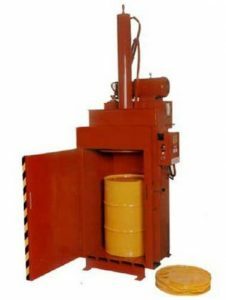 This drum crusher and in-drum compactor crushes drums into easily managed 4" 'pancakes', capable of being removed with an easy-to-use forklift. 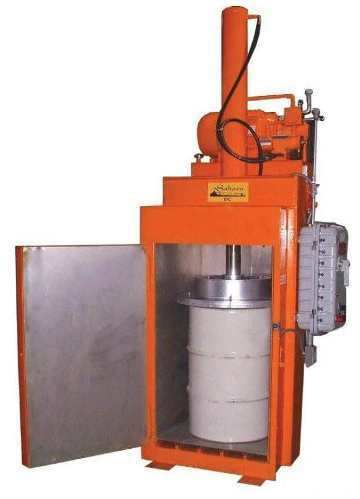 Reliable and simple to operate, our drum crushers can also be customized if needed.